Participate in Contests ran by InvestOpen. 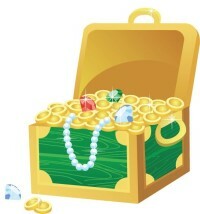 Check Contests and Rewards forums for fresh cash contests. Earn affiliate commissions from advertising. Check our advertising store for details. We reward our members with points for posting interesting content here on InvestOpen.com. You can redeem your points to cash or purchase goodies from our store. 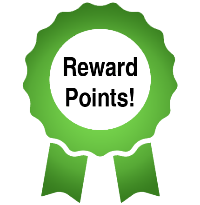 When your balance reach 200 points you may redeem the points to cash by posting your request in Payments Center forum. Note 1. Your posts should meet our posting guidelines otherwise you will get warned and repeated offenders will have their postig rights suspended. Please read this topic about posting rules. Note 2. You are allowed to make max. 4 posts per category in 24 hours in order to prevent spam. After 24 hours you will be able to post again in same category. As we have 38 categories you can make max 152 posts daily. Note 3. Monitors, Forex Brokers or Business Owners that mostly post updates about their business will not be able to redeem points to cash. Payouts will be completed within 5 Days of request! Min. payout per member is 200 points. There is no maximum payout per member. You will get your payment using Bitcoin, PayPal, PerfectMoney or Payza. All payouts will be verified by our staff! Once yours has been verified it will be moved to the verified forum and then processed. If you do not speak english well and your posts are of a very low quality then you wont be paid for your activity. We are an english speaking forum and we are paying for high quality posts.